Now is your chance to learn and develop your leadership skills together with other future leaders from ASEAN member countries! 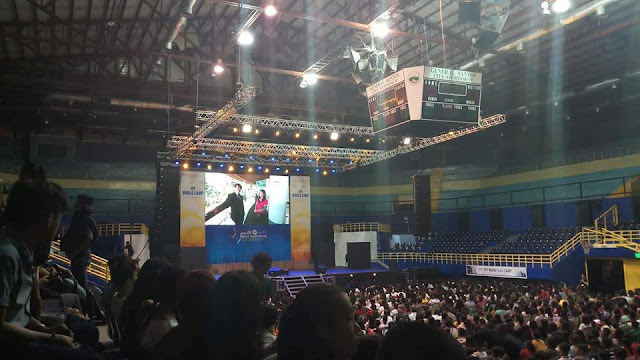 The annual search for goodwill ambassadors who will join the 46th Ship for Southeast Asian and Japanese Youth Program (SSEAYP) officially starts today. 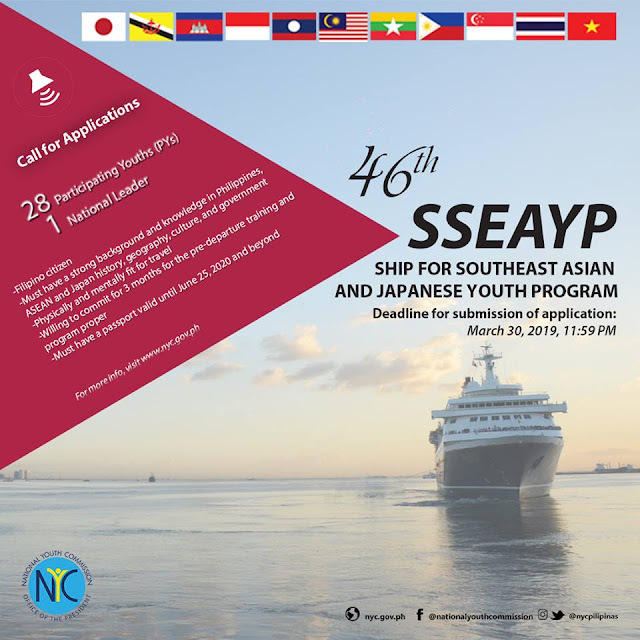 Aside from engaging in institutional visits and homestay with local youths in the Southeast Asian countries to be visited, the participating youth will also experience discussion activities, Solidarity Group (SG) activities, voluntary activities, national presentation, among others, onboard a Japanese luxury liner, MS Nippon Maru, for more than 50 days. The SSEAYP is based on the respective Joint Statement issued in January 1974 between ASEAN member states and the government of Japan. To download the application forms, visit www.nyc.gov.ph. Deadline for submission of application is March 30, 2019, 11:59 PM.